Cook potatoes for about 20 minutes (depends on their size) in a pot with salted water until fork-tender. Peel the hot potatoes and press them through a potato press (or mash using a potato masher). Let cool. Combine mashed potatoes with flour, salt, nutmeg. Add the potato flour until the dough isn't sticky anymore. 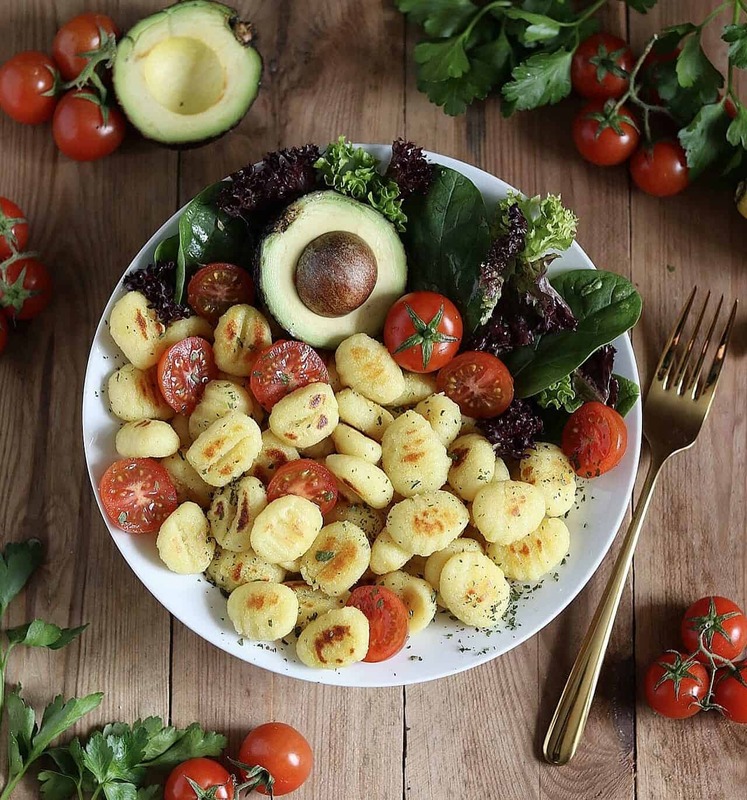 For the typical gnocchi pattern, roll each ball over a fork or over a gnocchi board with your thumb. (If you prefer it easier, you can slightly press against the gnocchi balls with a fork). Bring salted water in a pot to the boil and put the gnocchi into the hot water carefully. As soon as they float to the surface, they're done. Remove them from the pot with a slotted spoon and drain well. Now you can pan-fry them in a little oil or vegan butter until golden brown and crispy roasted or serve them with your favorite pesto or sauce. Instead of all-purpose flour, you can substitute a glutenfree-flour blend. What is potato flour? I have never seen it in stores? Potato flour is the same as potato starch. Here in Germany we usually call it potato flour. Do you have any gnocchi recipie made with sweet potatoes and gluten free?? 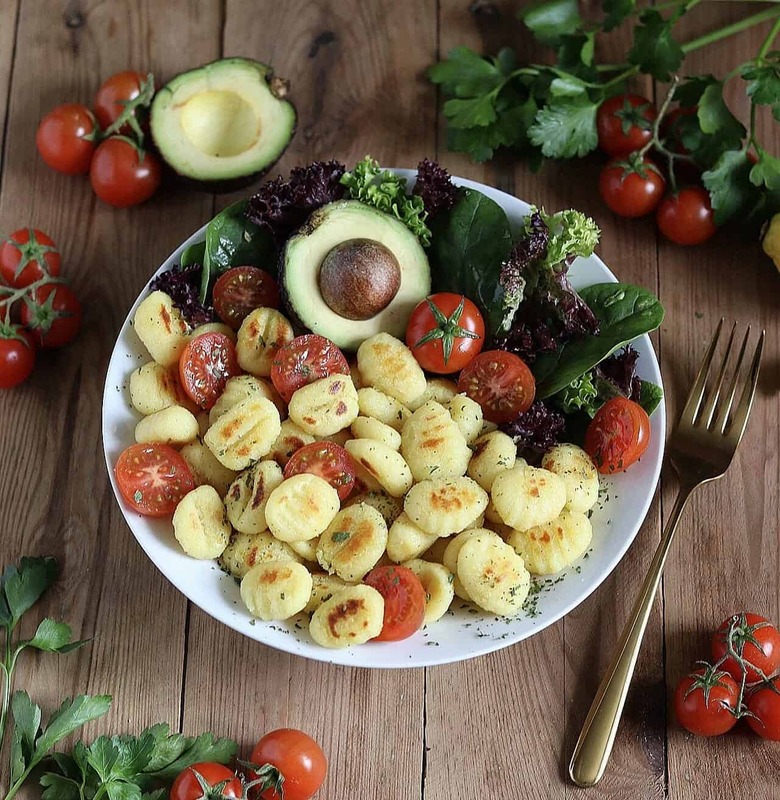 You can try my recipe for homemade vegan gnocchi by using sweet potatoes instead of regular potatoes. Also, you can use a gluten-free flour mixture instead.